From a man-monkey hybrid to a 2 headed dog, these are the 10 Darkest Real Animal Experiments. Karl Weinhold was a German scientist. In 1817 he conducted a series of experiments on dead creatures trying to bring them back to life. This was back when the scientific community wanted to find a way to reanimate dead people. And Weinhold was doing his bit by brutalizing a kitten. 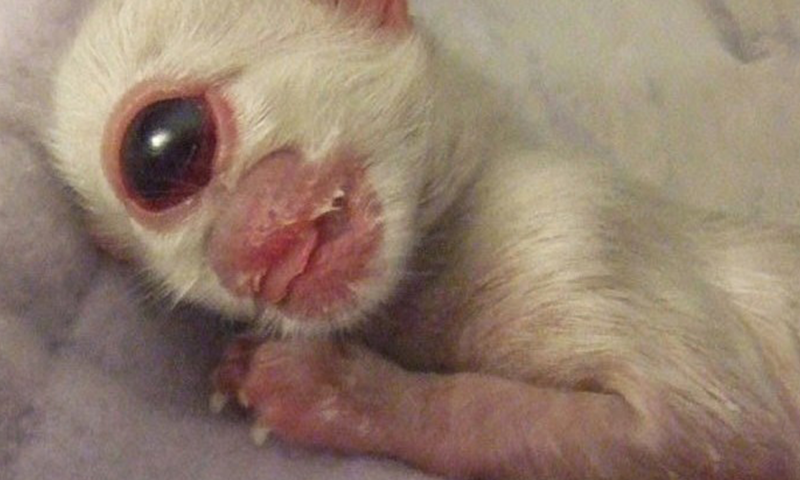 He cut off the head of a 3 week old kitten and attatched wires to it’s nervous system. He then applied electricity. He described the event in his personal account of the experiment. : “All contractions of the muscles, as well as the pulse of the heart, stopped and, when the breast was opened, it did not move any longer”. He inserted silver and zinc into it’s spinal cord – and noted: “Hopping around was once again stimulated after the opening in the spinal column was closed. The animal jumped strongly before it wore down”. In 1940, a Soviet doctor attempted to keep the head of a dog alive after it had been removed from it’s body. If you watch the video above, you will see that the experiment seems to have been a success. No one knows for sure whether this footage is real or fake. But what we do know is that experiments just like this did happen in the Soviet Union. This next one was also done by a mad Soviet scientist. Ilya Ivanov wanted to create a human-monkey hybrid – and during the 1920s he attempted to create one in a series of experiments. 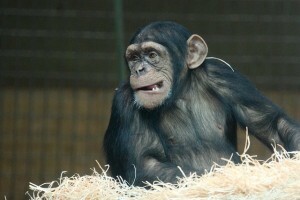 Most of which involved a female chimpanzee being inseminated with human sperm. All of his experiments filed. But being a hearty young kid, he wasn’t going to give up easily. In 1929 he started experimenting with human women and orang-utan sperm. But he failed once again. It is unknown why he did these experiments but some say he wanted an army of Ape soldiers to help spread communism to Europe. 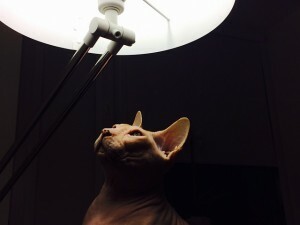 Which creates such an epic image that I almost with he was successful. Often refferred to as ‘earmouse’ the Vacanti mouse was the subject of one of the most iconic images of the 1990s. The photo is genuine, and shows a mouse with what looks like a human ear attached to it’s back. 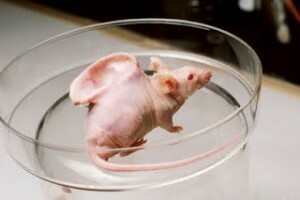 The ear grew on the mouse after cartilage cells from a cow were injected into it. Images of the mouse were some of the first to go viral online – this was in 1997, when the primary method for sharing images was email. The images sparked huge waves of protests against genetic engineering. Which is strange because in the experiment genetic engineering wasn’t even the method used. You might not even believe this one but I guarantee it’s true. On the 21st of May 1908, Charles Guthrie successfully created a 2-headed dog. He removed the head of one dog and grafted it onto the body of another. The monster dog died after 26 minuted. The strange thing is that there are many many many more accounts of other doctors doing the same thing. The notorious Soviet doctor, Vladimir Demikhov, created 20 of the 2-headed dogs. One of which lived for a whole month. During the 1970s, American scientist Robert White, performed the first ever head transplant. He took the severed head of a monkey and attached it to the headless body of a different monkey. He failed to connect it’s brain to it’s new spinal cord so the monkey was unable to move it’s limbs. 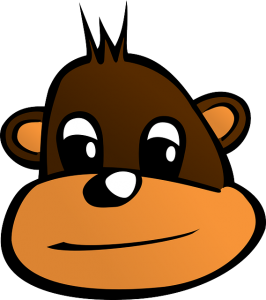 But the monkey was alive and even tried to bite someone. It died 24 hours later after what I imagine was the worst day of it’s life. This experiment paved the way for other head experiments – with the first human head transplant expected to happen 2 years from now, in 2017. In August 1962, a group of scientists gave LSD to an elephant. The reasoning behind the experiment was that they just wanted to see what happens when an elephant gets high. 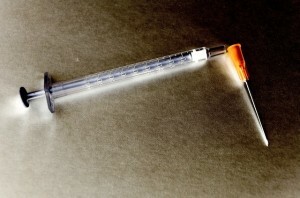 297 milligrams were injected into the elephant by use of a medical bullet fired out of a rifle. In case you were wondering, 297 milligrams of LSD is about 3 thousand times the amount needed for a human. Which seems unnecessary considering that elephants aren’t 3 thousand times the size of humans. The elephant started going mental. It ran around panicking before suddenly falling to the ground dead. An outcome that literally anyone could have predicted. Robert Cornish was a real life mad scientist. During the 1930s he started experimenting with the resurrection of dead animals. He killed 4 small dogs and gave them the names Lazarus 1, Lazarus 2, Lazarus 3, Lazarus 4. 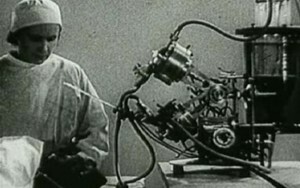 He then attached them to a machine he built to circulate the blood in their bodies. By use of adrenaline he attempted to simply shock the life back into them. 2 of the dogs were successfully resurrected. They were blinded by the ordeal. But they were alive. 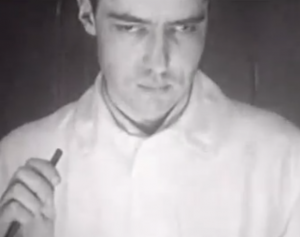 In 1947 Robert Cornish wanted to perform the experiment on a death row inmate. The inmate agreed to have it done – but the authorities wouldn’t allow it. Number 2 on the list isn’t just one experiment. It’s a series of experiments happening right now. 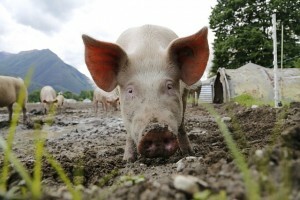 Every year the Canadian military tests chemical weapons on thousands of pigs. The animals are exposed to deadly mustard gas, which causes them to have seizures, and usually die. An average of 2,900 live animals are used for experimentation every year. These days people tend to question the necessity of these tests, often noting that 22 NATO member states don’t use living animals for military testing. In 1903, an elephant was killed with electricity. The aim of the experiment was to test the dangers of electricity and to be a publicity stunt for the local circus. This is the actual footage of Topsy the elephant being electrocuted. The footage was originally used in coin operated machines where people would pay to watch it.